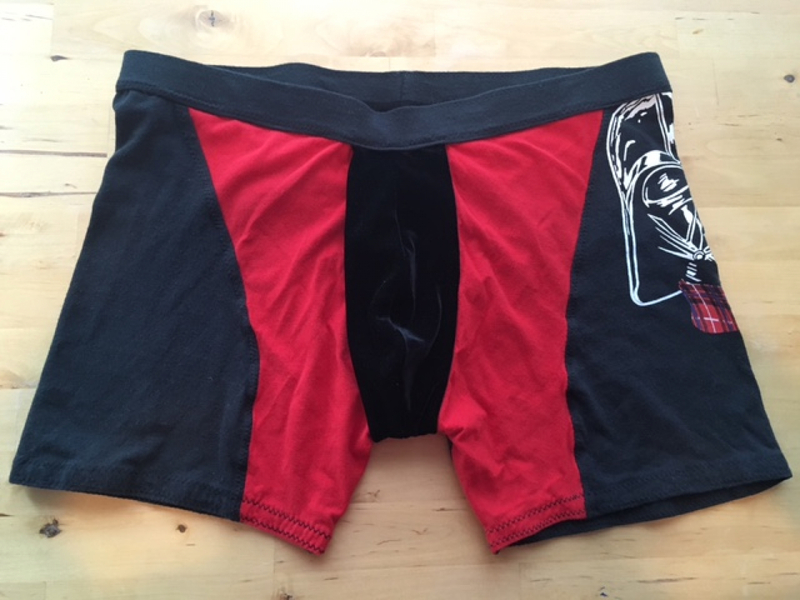 Black velvet package surrounded by red thighs, and featuring Darth with a scarf on his left hip. Black tush. 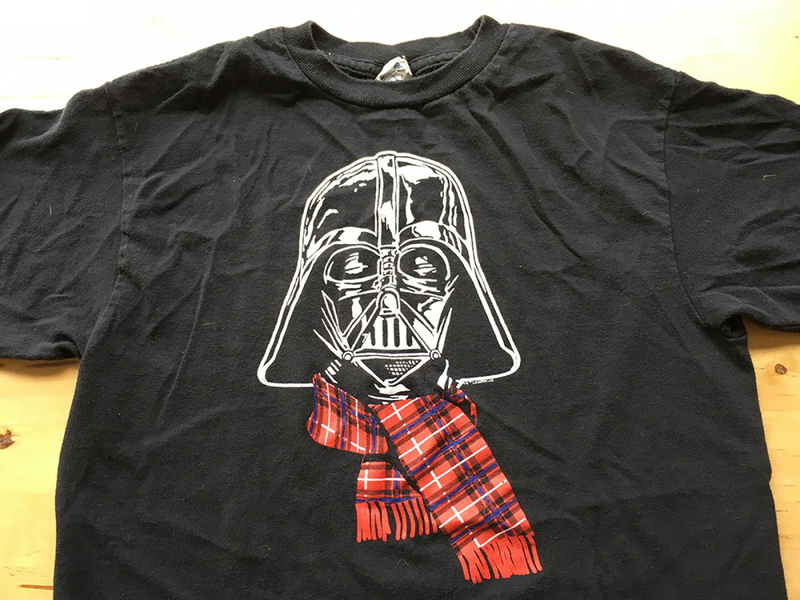 Classic winter briefs for cold Vader.